We have strict quality management system, and passed ISO9001 certification. We provide 100% inspection before shipment including battery quality test and package checking (such as dimension, capacity, voltage, impedance, weight, current, charge ending voltage, discharge ending voltage, charging current, discharging current and so on). (1) Cells: A grade cells to make sure batteries in high and full capacity. (3) Protection: Dual IC chips, that can anti-shortcircuit, anti-overcharger, anti-overcurrent, anti-overload. (4) Long life cycle, No memory, environment friendly. 1).Professional lithium polymer battery pack for over ten years, and have our own factory. 2).Strong R&D team to support. 3).Offer OEM service for customer’s order. 5).Competitive price, good sale and after-sales service. 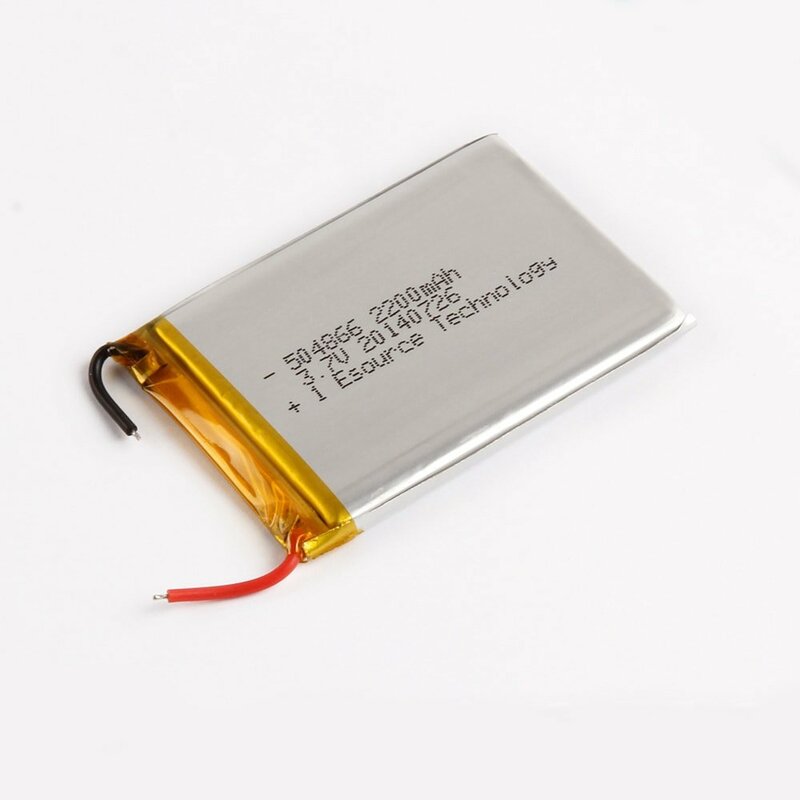 A lithium polymer battery, abbreviated as LiPo, LIP, Li-poly, lithium-poly and others, is the technologically evolved versions of traditional Lithium-ion batteries. The primary technological difference is that the electrolytes are held in a polymer composite (as in Lithium polymer) instead of an organic solvent. They offer four major advantages over lithium ion rechargeable batteries. Higher Energy Density – Lithium Polymer batteries have over 20% higher energy density than Lithium-ions. Reduced Weight – Lipos are physically different in that are packaged in a flexible foil-like package instead of rigid metal cases. This greatly reduces the weight and still allows for a variety of different form factors. Higher C Rating – The final section criteria for Li-Po battery is their C rating. C rating is the maximum continuous discharge rating of the cells and it determines how many amps your system can pull from the pack without overheating it. Discharging batteries at higher rates will raise their temperature and can lead to combustion. If the number of C is greater than 1, it means high rate. High rate is a relative concept. The higher the number of C is, the higher the rate will be. Based on the first three advantages, Polymer batteries have higher power than cylindrical and square lithium-ion batteries. High C rate li-po are not typically used in digital products such as mobile phones, IPADS, but in the power systems of electric cars, model airplanes ,power tools, remote-controlled model cars that require explosive power. Besides common Li-polymer models, Lithiumbatterychina provide customized solutions according to customers’ requirements. We have one Li-polymer production base in south of China. The special-shaped battery is flexible, adjustable in shape and radian, thin and light, high capacity. Its thickness can be as low as 0.45mm. In terms of the most critical battery capacity, it can be controlled between 22mAh and 3450mAh according to the size of the battery. Both low rate and high rate is available. Your RFQ will be reply within 24 hours normally. Sometimes have a little delay due to the weekends or holidays. Contact us and we will be on service of you until you are satisfied with your purchase.